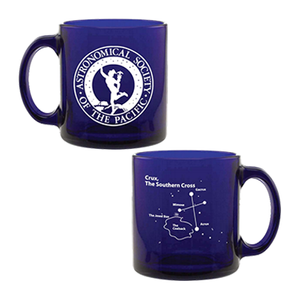 Part of the ASP’s new line of constellation coffee mugs, this 13 oz. glass one features Orion, The Hunter and shows the celestial addresses of some of the most studied objects in our Galaxy. 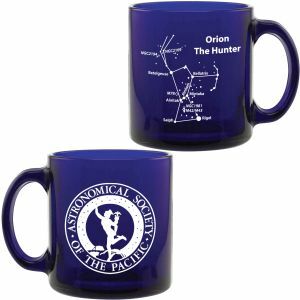 We will be introducing new constellation mugs in the series on a regular basis, so start collecting all 88 of them now! 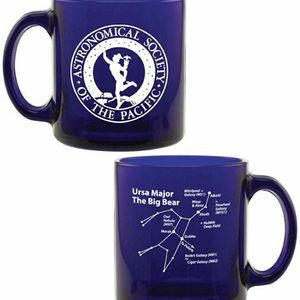 Your mug comes with educational literature describing some of the nebulae, star clusters, and other objects found within Orion.